Well this is my first post to my design blog and hopefully if I'm not too distracted/lazy I will keep it updated as I go along. 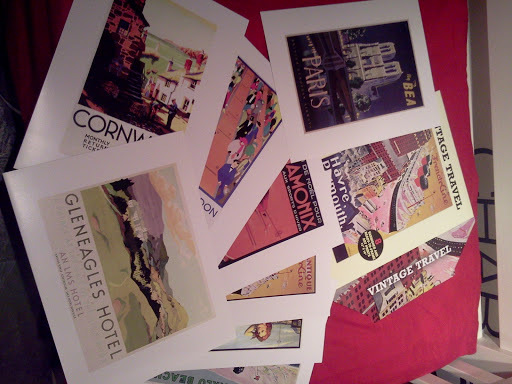 Today was a very busy day but this afternoon I managed to head into town where I stumbled across a pack of vintage travel poster prints. I actually got very excited which is a little sad but a couple of them are good designs and all can be used to help me in my latest Uni project. I am going to be designing a range of posters for each station along the Merseyrail line through Liverpool in the style of the vintage posters. 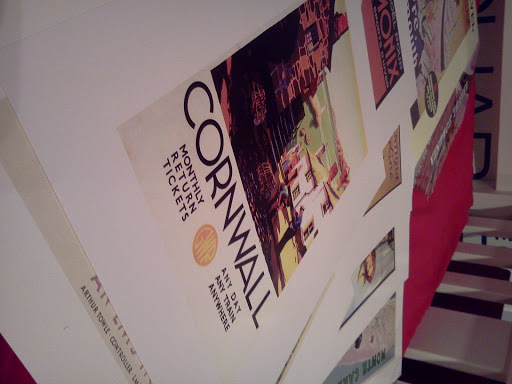 Each one will show the different attractions that you can view at all of the different locations. A lot of people specifically point out the 30s as the highpoint of good travel poster designs but I can't choose one specific time, although I do love the work of Pierre Fix-Masseau and the posters he has done for locations in France as well as a few for the Orient Express.